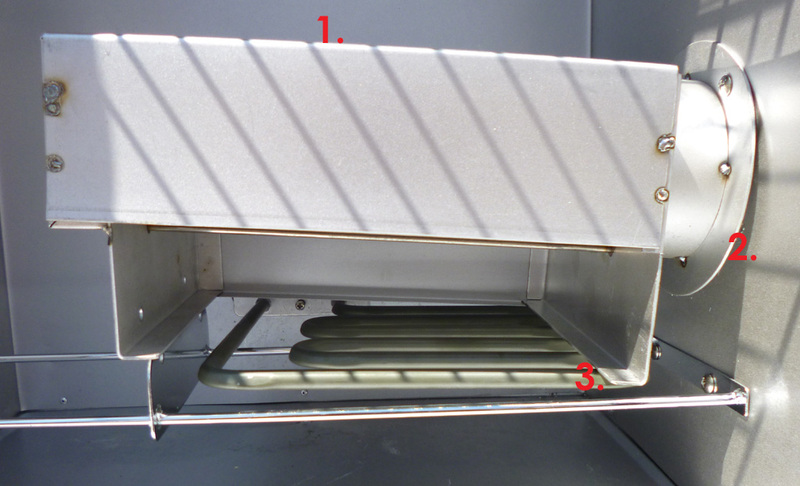 I’m trying to assemble the Masterbuilt 30″ 20070910 electric smoker and I’m having a few problems. The directions don’t come with pictures – just illustrations, so it’s a bit hard to figure how things go. 1. The smoker seems to be at an angle and as you can see in the picture. Is that right? They don’t have closeup pictures so I have no idea how it should look. 2. Where you put in the wood chips, it is not flush to the side, but at an angle. That doesn’t look right. It seems like a lot of heat would escape out the side. At the minimum it looks like it is missing a screw, as there is a hole on the side panel, but obviously no screw going into it. 3. The wood chip area is actually touching the heating element. That doesn’t seem right. 4. This is not shown, but when I try to put in the wood chip tray the bottom metal is forced down at a weird angle and the tray doesn’t fit well into the box. The videos I’ve seen online seem to be able to put the tray in easily. I think my wood tray box is the wrong size. 5. I did not receive the two screws which hold the electronic unit in place. I have a friend who also owns one of these smokers and he says that mine is definitely defective. Bummer! I called Masterbuilt and they wanted to send me new parts to try and rebuild the unit. It’s a bit aggravating since it should have been done right in the first place. Note – I returned this model to Walmart and I’m looking at other options – stay tuned. It’s a 25 page summary of a review and analysis of previous research. 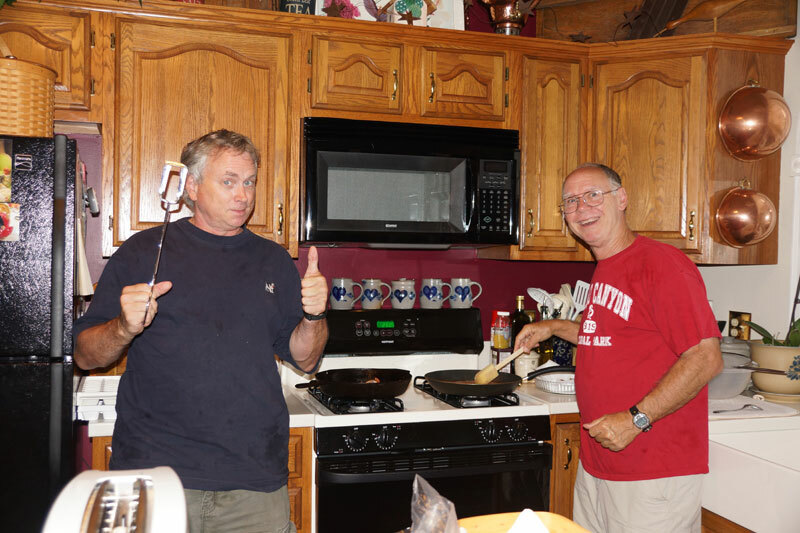 To put it in layman’s terms – a steak is ok, but hot dogs would be bad for you. 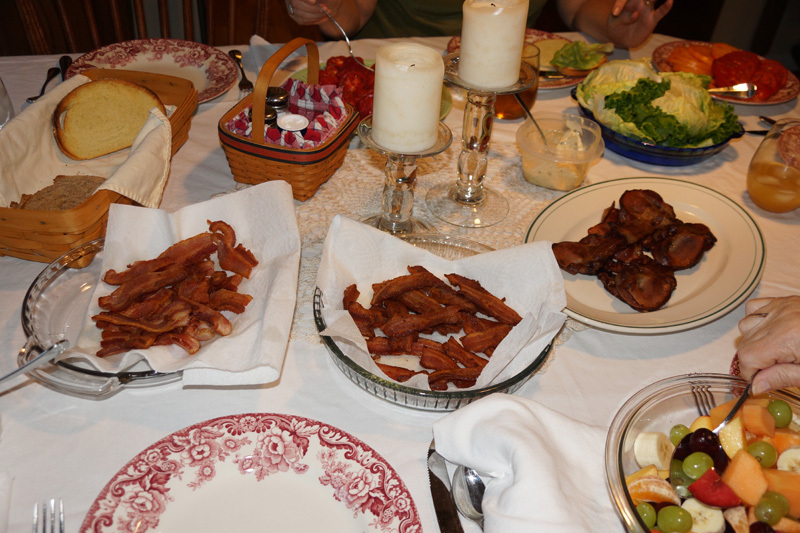 We had our first celebration of bacon this year at the 2012 Bacon Fest at Tom and Gerry’s. We had three different types of bacon. 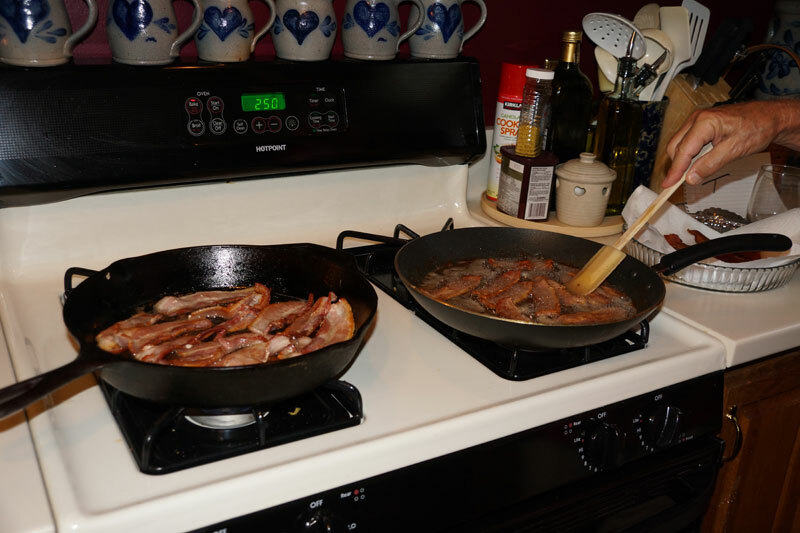 Karen brought a farm raised type of bacon/ham that was delicious. 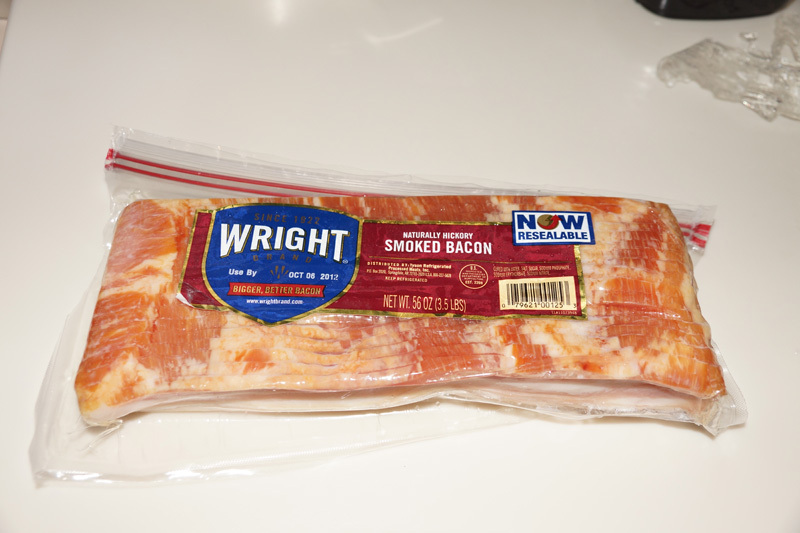 Bob brought Wright hickory smoked from Sams. 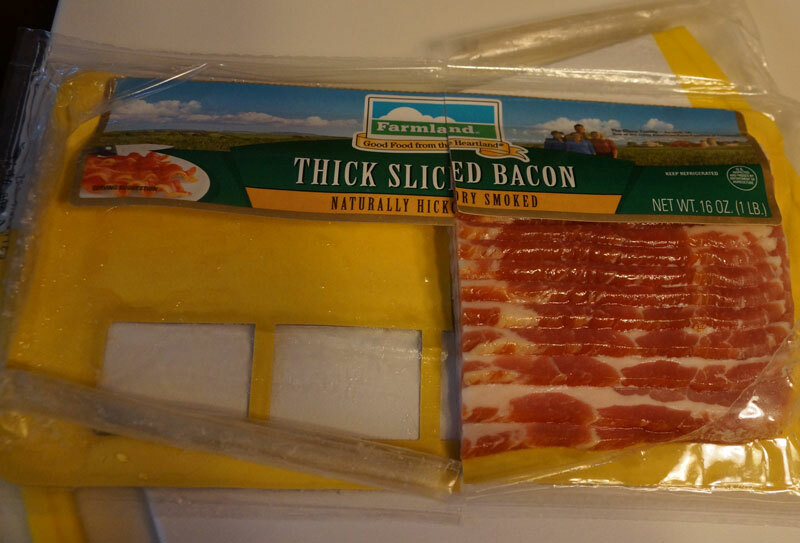 I brought my favorite from ShopnSave – Farmland thick Sliced Naturally Hickory Smoked. One of the things they teach you in wine classes is that red wine – like cabernet, needs to be aerated to improve the taste. 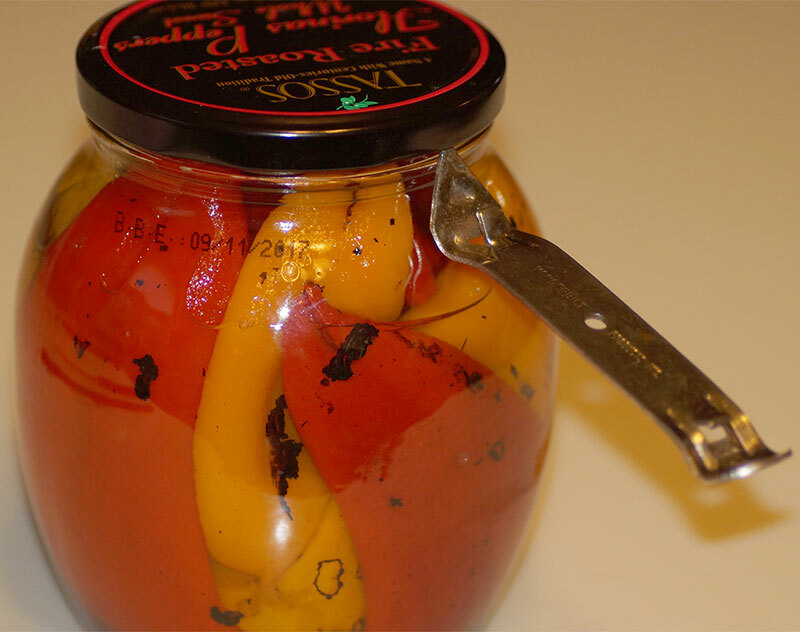 America’s Test Kitchen has come up with a couple of novel ways to do this. 1. Put the bottle of wine in a blender for 30 seconds at high speed. 2. Pour the wine from one large pitcher into another. Do this 15 times. This is their winner.